It's hard to believe it's mid June already! Time is going fast and the kiddos are learning new things every day. Today I wanted to take the time to thank Steve for being such a fantastic father to our three children. He's been my rock through everything! He is the most compassionate and understanding man I know. He is devoted to his God and his family. 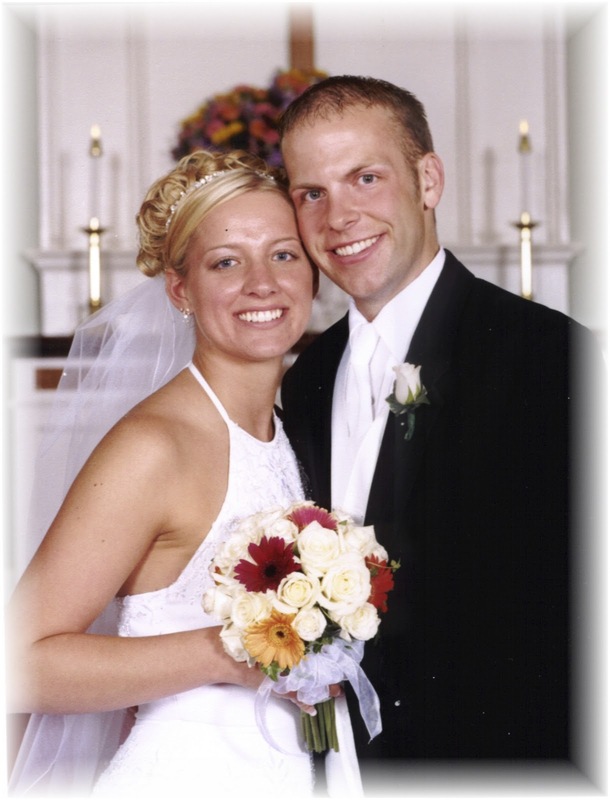 I knew I was lucky to be dating such a stud 12 years ago! This year we will be celebrating 8 years of marriage! Thank you for being a great friend, husband, and father! Happy father's day! I hope you enjoy your day and your gift from the kiddos. Thanks for allowing me to be your partner in life. This lesson was taught in a preschool/daycare center where I used to work. The students ranged in age from 4-6 years of age. In the past when teaching environmental print in preschool and kindergarten I taught more informal lessons. In preschool, I would ask them questions about the food items in the kitchen area when they were doing imaginative play. In kindergarten, environmental print was integrated into the morning message, social studies, and activities that were sent home with the students to complete with their parents. After researching various environmental print lessons and activities this lesson was short, simple and self contained. The students that I worked with only had their previous experiences with them and very limited structured teaching content experience. I needed a lesson that would stand alone and still provide the students with a learning opportunity and information they could take back and share with their families. *Greet the children and introduce the lesson about EP. *Lay out labels from different brands and products of food, toys, movies, and health care products so that all students can see. *Ask each student to pick out one item that they recognize from the pile. *How do you know what is in the bag/box/container? *What letter do you see at the beginning? *What sound does that letter make? *Do you see other letters that you know? *We went through the questions with three different EP items. Then we talked about how we look for picture clues to tell us what things might be. I asked them if you could tell a story with out knowing the words to the story. Then we tried it with a book one of the children picked out. The children realized how many different stories could be told from pictures. *We ended the mini lesson with a game of "I Spy" and a challenge to read labels in their pantry at home to their parents. Looking back at teaching the lesson I would have created more opportunities for the students to extend their learning at home. This could have been done with a list of games parents could play with their child, a check list or worksheet for the child to complete at home, or by creating a book with the group that they could then use in their classroom. I also realized that if I had taught this lesson in a culturally diverse setting I would have needed to enlist the help of parents. Each family could have brought in a bag of labels and logos from food items and health and beauty products used in their homes. This would have been a great way to give the students a larger view of the world beyond themselves and ensure that all students could identify items from the pile. The students all responded well to the questions. Some of them needed confidence boosting as they kept saying, "But I can't read." This is when we talked about using clues around us to figure out what the words might say. I was in 8th grade and feeling both nervous and excited about my first formal dance at school. 8th grade graduation culminated with an evening dance for all of the students at West Intermediate. I was very intimidated by dresses and everything girly. My mom and I went shopping and I found a pair of brown and yellow thinly striped dress pants that matched a button up sleeveless top. The day of the dance my friends Meghan and Mel took me to the salon with them. I sat down in the big soft black chair and held onto the hard plastic arms for dear life. A man greeted me and asked, "What were you thinking of doing with your hair?" I froze in the moment. I thought to myself, Me...this man is asking me what I want done with my hair. Didn't HE go to school for this, because I wear a pony tail EVERY day to school. I tried to gently let him know that I was in no way a girly girl and therefor I had no idea what I "wanted" done with my hair. "Ummm...I like curls and I usually wear it up." I responded quietly. He took his fingers and weaved them through my hair piling it on top of my head, combing here and there, then letting it fall again to my shoulders. He wrapped his large fingers around a can of hair spray and sprayed a thick cloud of sticky spray over my head. Then he took it section by section and sprayed it even MORE! I was holding in my breath so that I wouldn't offend him by coughing at his "masterpiece". The male hairstylist then curled each piece of hair perfectly and pinned it into place. Some of the pins slid effortlessly into place while others jabbed into my scalp. As he neared my ears I requested that he leave two pieces down near my ears and curl them. After a few more pins, nips, and blasts of the hairspray my hair was complete. A beautiful pile of curls impeccably placed on the crown of my head. I let out an audible sigh, thanked him and went on my way to prepare for the dance. This week in class we talked about virtual gaming and its place in education. We read an article and watched a youtube video about Second Life, which is a virtual world similar to The Sims. I remember playing The Sims a few times but I just could not get into it. My brother loved it though! I think that because I have a hard time getting excited about it, it would be difficult to use this in my classroom. Also being a mother of 2 little ones I don't have the time available to invest in developing a "virtual world" to use with my curriculum. I also think that with the limited time teachers have to teach each topic, this would/could be a total time waster. Students could spend a lot of time and not complete the task at hand. If I taught in an area that had a laptop program I might think about doing something that deals with the virtual world, because they have time at home to complete the work and spend as much extra time on it as they would like. I'm all over the place on my feelings for it. Because of how involved people get in virtual worlds it becomes another gaming problem. Students will be spending more time indoors on the laptop or computer all because of an assignment that a teacher gave them! I don't think that VR is a fad because I remember it when I was in 6th grade with a VR game at Studio 28 and it's still around. It is evolving and there are still people out there who enjoy it. As long as there is bullying, depression, etc. there will be VR. There will always be someone who wants/needs to escape the reality that they are in and VR gives them that opportunity. This week it was hard to find an actual blog for some reason. Lots of them I found seemed to be articles more than a blog. For my CIP I have chosen to do a webquest of sorts for my small group of girls that I teach for 8th grade confirmation. This webquest will include outside reading (or looking up bible verses on the Internet), video links, and websites. The final project or outcome of the webquest is for the group of girls to research and select a charity that is in need during the Christmas season. Then as a collective group we will listen to each of the girls "presentation" of their project and then select a charity to do a service project at before Christmas. To complete the project I need to do some more research of my own and find some good links to use within the webquest. Also I am trying to decide if they will be on the "hunt" for something, if the quest will have a story line, or if it will be more of a guided project. I am also thinking about collaborating with the director of confirmation to see what tools he usually uses to teach this topic/lesson and see if I can design something that could possibly be used for all of the confirmation groups. By doing this project I hope to learn different ways to integrate technology into the webquest while still having the learning get a significant amount of information/learning through completing it. I am also counting on being able to easily complete the webquest since I learned how to do this about 5 or 6 yrs ago in undergrad! I also want to try and use my podcasting skills within the webquest! In the future I hope to be able to more easily integrate the tech tools that we learned through this class into my curriculum focusing on the fact that the subject matter comes first and then the technology should be there to enhance the learning experience. I have also learned that it is important to have a plan in place before you just take your class to the computer lab. In my classroom in the future we will be planning out our Internet searches before we go to the computer lab to make the time in the lab more efficient. From this project I am learning that no matter how thorough or self explanitory you make your webquest or lesson you can't just assume your students know exactly what is expected of them. So its important to show examples and go through the directions before the students get on the computer. They may have questions or come across problems that I had not anticipated. I am excited to use what I have learned from this class and this project in my future classroom. Also to use it as a sub. I was thinking about recording some stories read by my as a podcast to play for my students when I sub if they need to listen to a story to kill some time at the end of the day (I even bought some portable Black Friday cheap speakers for this purpose!). This week we learned about Webquests in my grad class. I remember learning about them and creating one in my undergrad technology in education class. I believe they are a great way to keep students focused and on task while using technology. It also helps to ensure that the information they are using is valid (hopefully the creator makes sure it is!). The weakness of the Webquest is that students aren't able to sift through internet sites themselves to determine what is credible information and what is just junk out there. This is a skill that students need to develop and teachers may feel that its too time consuming! Another weakness is that like anything created by us teachers it may have bias. Depending on the topic the bias may be very clear or it may be hidden. This is a problem because as teachers we want our students to develop their own thoughts and opinions based on what they learn and experience not because its what their parents, teachers, or friends believe. Above is the link I found for a Webquest on Climate and Weather for 7th grade. Introduction. Strength is that the Intro is clear and simple. Weakness is that the webquest teaches the students a larger objective and not just how to compare and contrast weather and climate. This may cause students to discount the other information that is being presented. A task that is doable and interesting. I think students would be interested in being a reported and videographer. The weakness is that there is a discrepancy between the Intro and the task. The Intro. says the students will travel into the future and the task speaks of traveling back in time. This is important because climate is more about the atmospheric conditions or weather over time therefor you need to look at the past to determine what the future may hold. A process (do learners know what to do and when?). The learners know what process they are supposed to complete and what they need to do before they can move onto the next step. The only weakness is that Process 1 fails to mention the need to apply the information to the state which they selected and where to find that information. The process has a lot of different types of information for the learners to interact with. Evaluation. Students have a rubric and questions to follow to make sure that they have included everything. The weakness is that items that are not associated with the subject matter receive more points than the science content! A conclusion that brings closure to the quest, reminds the learners about what they've learned...Overall thoughts. The conclusion seems to tell the answers to the Intro. The weakness with this is that students could simply click ahead and use that information in their project instead of viewing the videos, songs, and reading the articles that go more in depth about the information. Having a hard time finding a strength in this part, but I suppose it would be that it takes the standard taught and makes it simple to understand. Is this a webquest you think you could use without modification in your classroom (not for the project in this class -- that should be your own creation)? What might you have to change? No I would not be able to use this webquest without modification. There are some areas that need some more attention to detail so that students get the most out of the project. It's a great idea and has good resources but the students are supposed to transfer this information they learn and apply to a state of their choice. I don't see a whole lot of guidance for the students with that transition. Some students could jump that gap but other students would have great difficulty trying to apply the new information themselves. 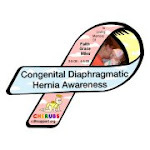 Buffalo, New York Recognizes April 19th, 2017 as Congenital Diaphragmatic Hernia Awareness Day! Oh my has it really been so long?? I am a Mom Ambassador! 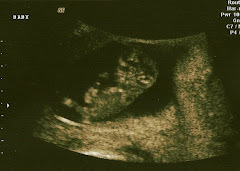 less than 12 hours before we found out we were prego again! 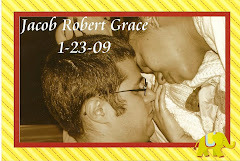 In Loving Memory of Faith Grace Miles and Jacob Robert Grace and all those whose life was too short. Steve and I were married in June 2004. We had always dreamed of having a family. The summer of 2007 after I graduated college we found out that we were expecting! 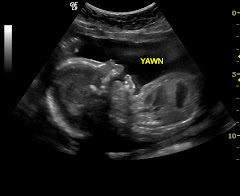 We had our ultrasound at 20 weeks and found out it was a girl. 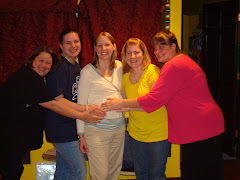 The next day our world was turned upside down as we learned of congenital diaphragmatic hernia. 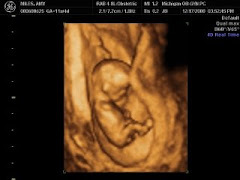 We sought out a second opinion after "termination" and "fetal demise likely" were heard and read on the reports. We found the surgeons at the University of Michigan gave us the hope we desired. Faith was born in Ann Arbor on March 6th, 2008 her cousins birthday. She was on ECMO for 18 days, enrolled in a clinical trial using perflubron and had a gortex repair. I wish I could say that this all resulted in a happy ending. 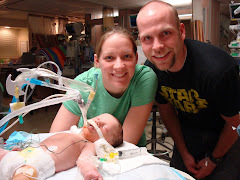 After 30 days of fight, our little girl grew her wings as we held her for the first time.